We are immensely proud to pronounce that NIST has contributed more than 30000 certificates to the field of Health, Safety and Environment. 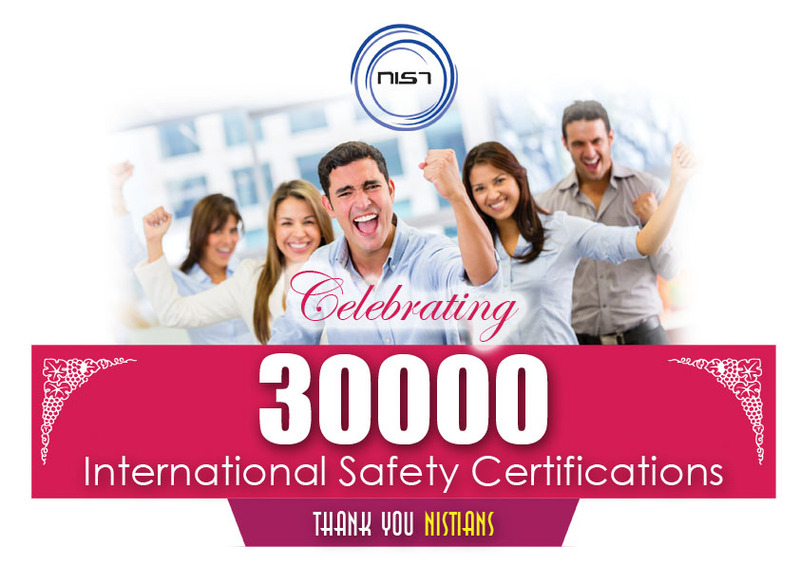 NIST's commitment and quality did not end only with dispensing more than 30000 certificates through 15000 candidates; we are in the verge of creating one destination for all the safety needs like HSE, Food Safety Training, HSE Consulting & Auditing, and HSE Recruitment. Once again we thank all the students, course providers, corporate clients with mutual vision and mission in creating a culture for Health and Safety Professionals made this milestone within reach. "It's not the will to win, but the will to prepare to win that makes the difference - Paul Bryant."